Dill Seed Essential Oil isn't a widely used essential oil within the scope of aromatherapy. However, it's an interesting and beneficial essential oil that deserves a second glance, especially for digestive issues. Dill Seed Essential Oil is comprised primarily of (+)-carvone, a ketone. d-limonene, a monoterpene, is also a major constituent present within the oil. Please refer to the Uses section below for the potential applications of Dill Seed Essential Oil. Aromatically, Dill Seed Oil possesses a slightly earthy, fresh, sweet, herbaceous aroma that blends well with essential oils in the citrus, spice, wood and herbaceous families. Fresh, sweet, herbaceous, slightly earthy. Source: Salvatore Battaglia, The Complete Guide to Aromatherapy (Australia: The Perfect Potion, 2003), 287. Source: B.M. 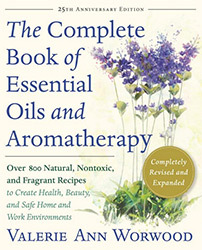 Lawrence, Essential Oils 1988-1991 (Wheaton: Allured Publishing, 1995), 202. Source cited in Robert Tisserand and Rodney Young, Essential Oil Safety (Second Edition. United Kingdom: Churchill Livingstone Elsevier, 2014), 269.